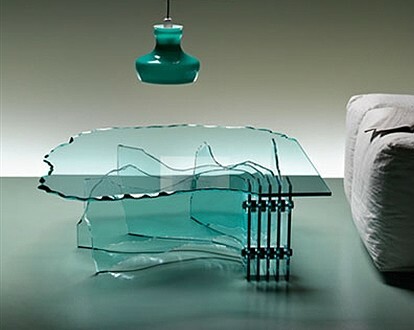 Coffee table with a hand-sculptured 15mm thick glass top. 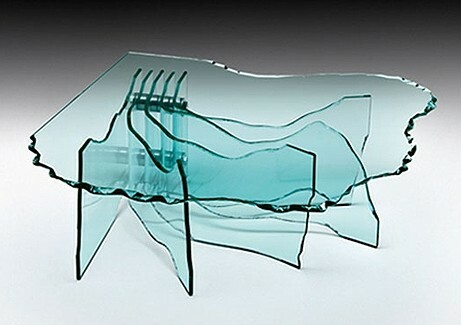 Base made of five 12mm thick hand-sculptured glass elements, four of which curved. The elements of the base held together with stainless steel fixtures.